This is a special program that will combine swimtrekking to the visit of historical and archeological sites. 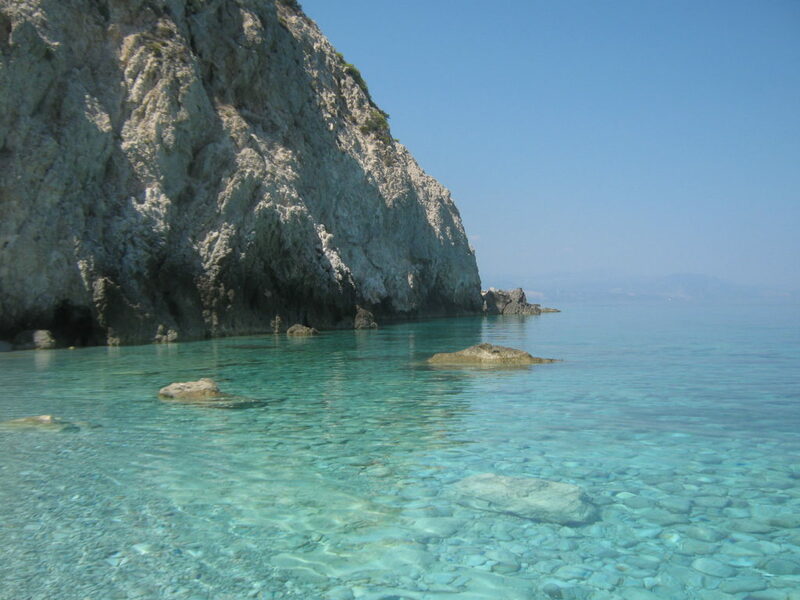 Four days of swimming close to archeological sites in the stunning Corinth Gulf. 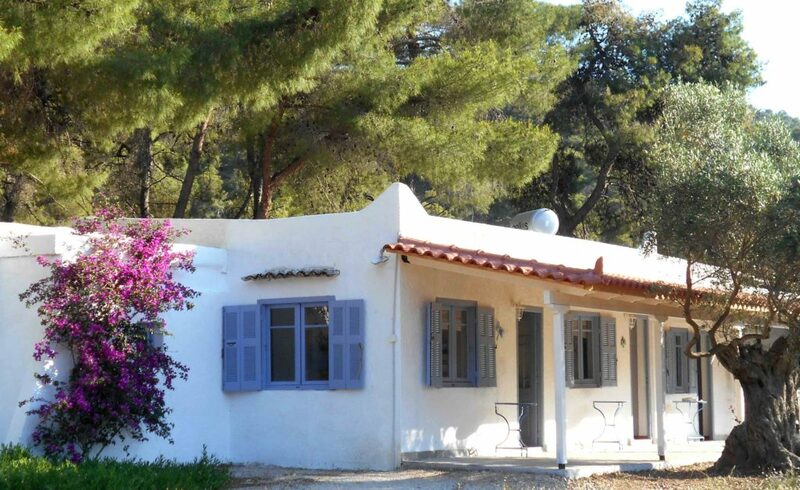 Lakazeza looks like the perfect short escape for a relaxing holiday in a secluded area of Greece. 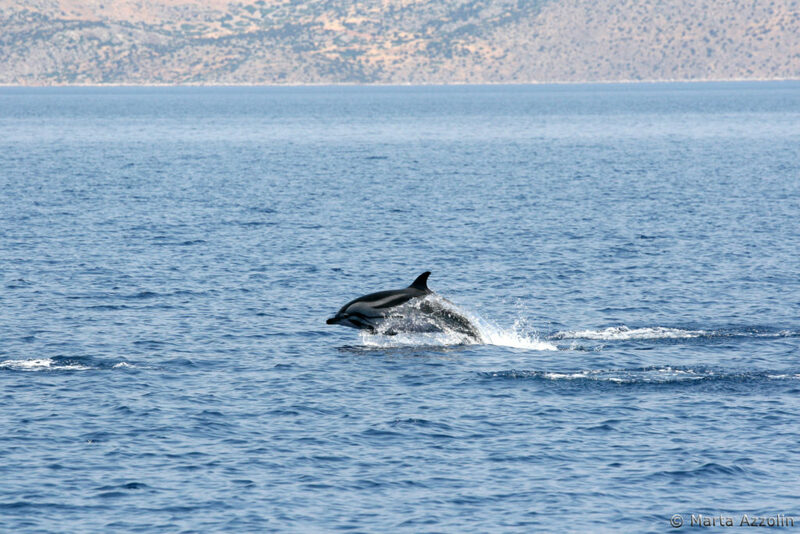 You will be swimming daily along the fascinating coastline of the Corinth Gulf. Coastal swims will have a length of approximately 7-8 km per day. Itineraries will be decided by the Swimtrekking instructors that will be guiding and swimming with the group to the final destinations. 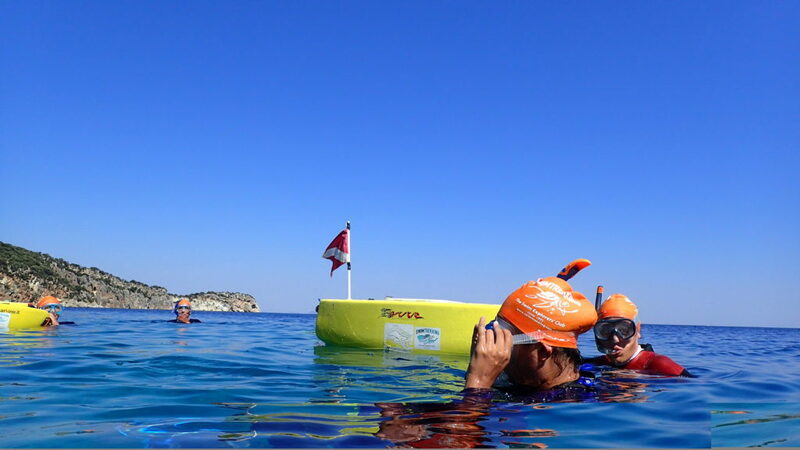 Swimtrekking will provide you 4 full days of coastal swims and visits to the local historical and archeological sites. During the swims as part of our contribution for the protection of the environment we rescue any plastics we found in the sea. Start point: Lakazeza, Perachora, Gulf of Corinth. Start time: on the arrival day meet your Swimtrekking Instructors at Lakazeza at 15.00. Check in, briefing and first swim in the evening. Finish point: Lakazeza, Perachora, Gulf of Corinth. Finish time: on the departing day last breakfast @ 7.30 and transfer to Corinth. 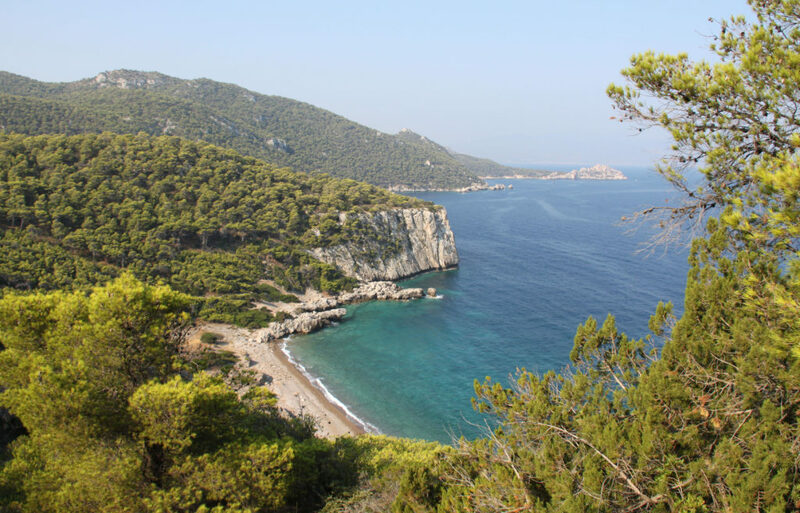 We’ll stop off in a cove for lunch, after which you have time to spend exploring the inland wilderness of Lakazeza or just relax on the beach. We work up a final appetite by the time we get back to the residence having dinner in the relaxing scenery of Lakazeza. by train – from Athens (from the airport or from the city) direct connection with Corinth within 1 hour. Departures every hour with TrainOSE. On the arrival in Corinth a shuttle transfer will be offered to Lakazeza. 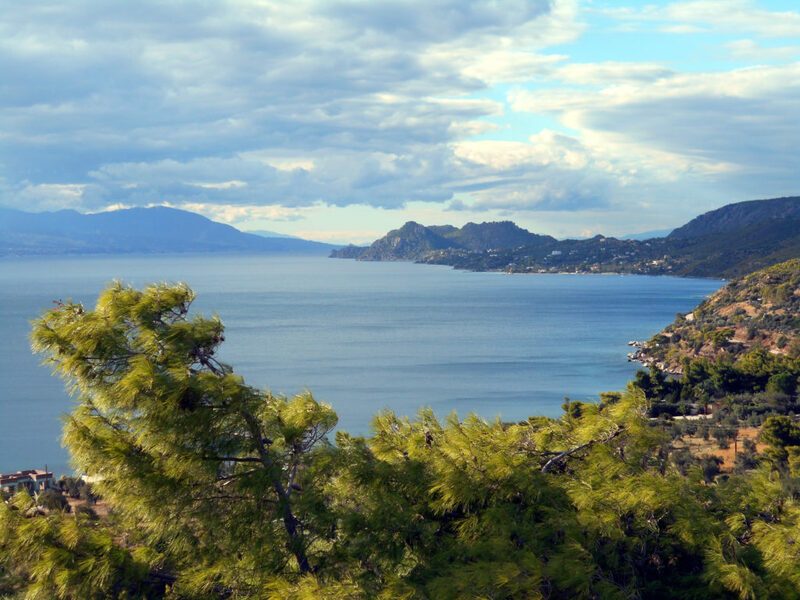 by motorway – Patras/Athens you arrive in Corinth, then you continue via Loutraki and Perachora and you get in Lakazeza after 10 kilometers of public and country roads. Full board accommodation will be provided at Lakazeza. We stay 4 nights at Lakazeza residence in Perachora, which is a nice and comfortable residence few minutes walking distance from the sea. Rooms sleep 2-3 people with en-suite facilities. Typical Italian and mediterranean dishes will be offered at Lakazeza. Breakfast and dinner will be served every day at the restaurant. Lunches will be a selection of sandwiches, fruit and snacks. June air temperature: 25°C; Sea temperature: 22°C. On top of your normal clothes you should bring with you: a waterproof jacket, warm sweatshirt, walking shoes/sandals, sun hat and sun glasses. There are ATM – cash points in Corinth.